Capital rubber and plastics have been making rubber and EPDM extrusion products for over 30 years at the plant in Rainham Essex. Operating continuous vulcanization microwave lines for Nitrile and Neoprene profiles and EPDM extrusion profiles. 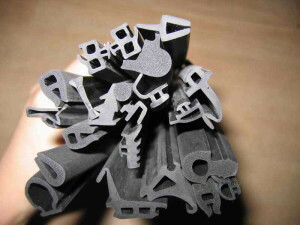 We also have lines for PVC extrusion, PVC metal combination seals as well as a number of lines for producing silicone extrusion. Capital rubber has in-house tooling facilities, which include wire erosion machines that enable the speediest delivery from drawing or sample to bulk extrusion in the industry. We are able to turn around production in a matter of hours if necessary. Our tooling cost are very competitive and our per meter charges are low.